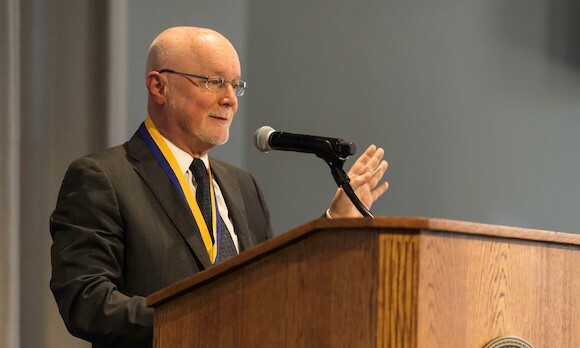 Donald Hall was formally installed as the Robert L. and Mary L. Sproull Dean of the Faculty of the Arts, Sciences & Engineering yesterday afternoon in Feldman Ballroom, Douglass Commons. In his remarks at the ceremony, Hall talked about how his past experiences inspire him to address the needs of students and faculty who are facing challenges. He also spoke about the importance of welcoming and enjoying the differences among members of the University community.